While to the West poppies are a common graving flower, Poppy according to Eastern culture is perfect for couples because it means a deep and passionate love between two people. This DIY poppy flower tutorial will be a bit more complex ( including dying technique) compared to our previous tutorial. But we promise you, the final results won’t be disappointing. We will use the technique of bleaching the edge of the tissue, which will give the exact soft beauty of this flower. We will need 1 tablespoon of bleach to 1.5 cups of water, 3-inch strips of each color. First, roll the strip so that all of the long edges are together. Holding the top of the three-inch-tall roll, dip the edge into the bleach mix for 5 seconds. Let the bleach to soak up to about half of three inches to get the best effect. Once dipped, unrolled the strip carefully and hung it to dry. 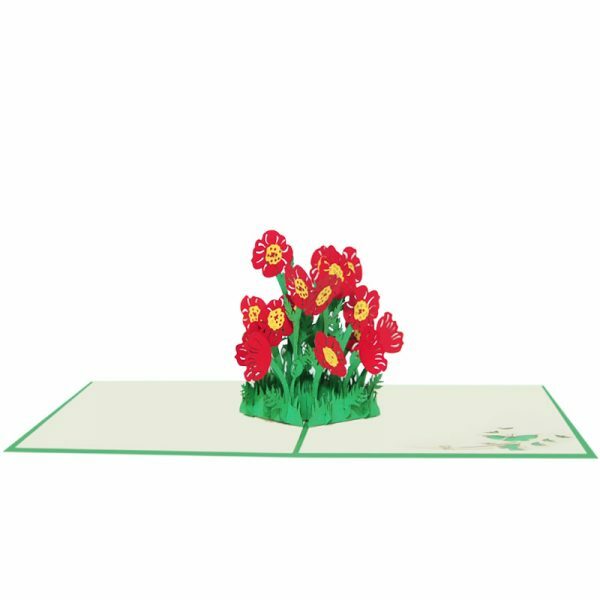 The paper dries fairly quickly, but you will want to make for sure they are completely dry before you start to make your flowers. We realize that these step by step photos are the easiest to follow. Take a look at the below guidance for your ref, you will surely master the art of creating this lovely flower with tissue papers. 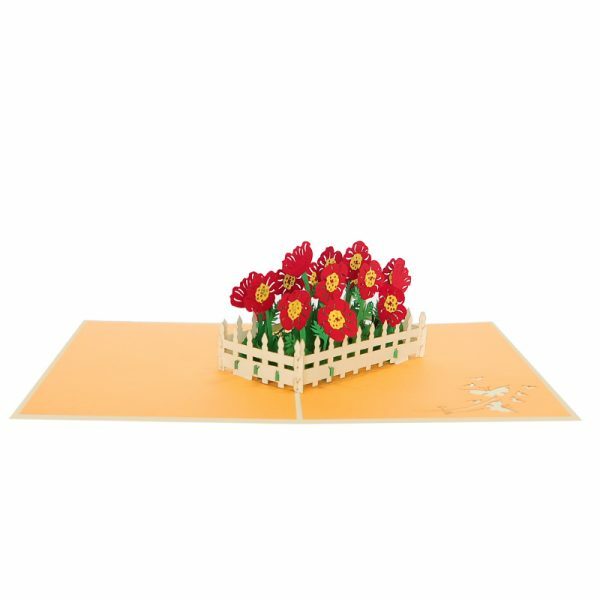 Poppy flower pop up card has a cream cover with poppy flower patterns. The image reveals just enough of the surprise inside. Open the card and you will find a stunning three-dimensional sculpture of a beautiful red blooming poppies bush. We paid full attention to even smallest detail like constructing each petal to make the 3D sculpture become the most lively. Hey Buddy!, I found this information for you: "DIY Tissue Paper Poppies". Here is the website link: https://charmpopcards.com/diy-poppy-flower.html. Thank you.